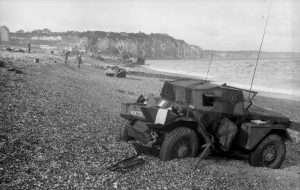 The Dieppe Raid began life during its planning stages as ‘Operation Rutter’ and by its final official codename ‘Operation Jubilee’. It was an Allied attack that took place on the 19 August 1942 against the German occupied port of Dieppe. The Allied force consisted of 6,000 infantry who were predominantly Canadian. They were supported by tanks of the Calgary Regiment of the 1st Canadian Tank Brigade and a strong force of Royal Navy vessels and Royal Air Force fighter planes. 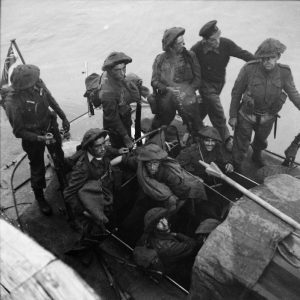 The landing contingents involved included 5,000 Canadians, 1,000 British troops, and 50 United States Army Rangers. For years, we have always been told that the objective of the raid was to seize and hold a major port for one tidal period and also to gather intelligence on German radar instillations. Upon retreating, the Allies were to destroy coastal defences, port structures and all strategic buildings. The raid would also boost morale and demonstrate the firm commitment of the United Kingdom to open a western front in Europe. This would placate the Russians who were pushing for this now that the Americans had entered the war. However, research by Canadian military historian David O’Keefe unearthed 100,000 pages of classified military files that documented a ‘pinch raid’ that was overseen by none other than Ian Fleming (the James Bond author) that coincided with the Dieppe Raid. The Germans had earlier in the year added a fourth wheel to the Enigma coding machine and the Bletchley Park cryptanalysts (Ultra) were unable to read any of the German communiqués. 30 AU (Assault Unit) were sent into Dieppe which housed German Naval Intelligence to steal code books and hopefully a four wheel enigma machine. This whole pinch theory seems to add a lot more credence to the actual raid. The landings took place at 5:00am. By 10:50am the Allied commanders were forced to call a retreat. Virtually none of the objectives for the raid were met. Allied fire support was grossly inadequate and the raiding force was largely trapped on the beach by obstacles and German fire. Less than ten hours after the first landings, the last Allied troops had all been either killed, evacuated, or left behind to be captured by the Germans. Instead of a demonstration of resolve, the bloody fiasco showed the world that the Allies could not hope to invade France for a long time. Some intelligence successes were achieved, including electronic intelligence. The outer flank assaults by British Commandos were in part successful. On Orange beach, British commandos commanded by Lt Col Simon Fraser (Lord Lovat) achieved their objectives on Orange beach. On Yellow beach the commandos’ landings did not go so well. Many from the first group were either killed or captured. However a small group from the second landing achieved their objective. Canadians landing on Blue Beach at Puys suffered horrendous casualties as did those landing on Green Beach. The Essex Scottish landing on Red Beach and the Royal Hamilton Light Infantry on White Beach, failed to get into the town from these two central landing beaches. Of the 6,086 men who made it ashore that day, 3,367 were killed, wounded or captured. The Royal Air Force failed to lure the Luftwaffe into open battle, and lost 106 aircraft (at least 32 to flak or accidents), compared to 48 lost by the Luftwaffe. 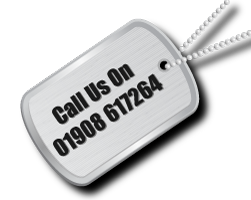 The Royal Navy lost 33 landing craft and one destroyer. The events at Dieppe influenced preparations for the North African ‘Operation Torch’ and Normandy landings ‘Operation Overlord’. For more details of our 75th Anniversary tour of the Dieppe Raid, click here.